Repurpose! – Moments. Minutes. Memories….. I have been ‘crafting’ lately and want to work towards repurposing things rather than always thinking I need new. 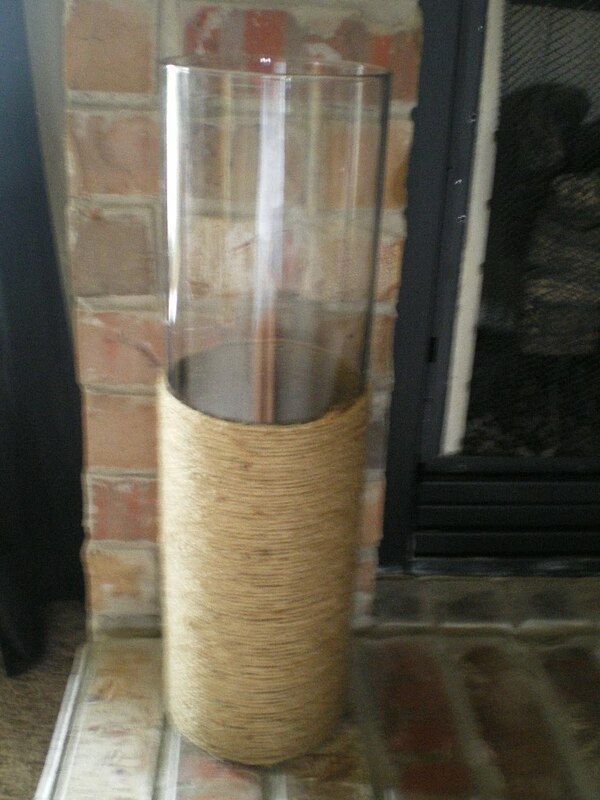 I started with my glass cylinder vase that was just too plain and decided to decorate it with some jute. I actually saw this on the internet and decided I could do it. It was very easy, but time consuming. I used some hot glue to hold the jute in place randomly through out the process, but you probably don’t have to. I used about ¾ of a roll of jute that I found at Hobby Lobby to cover this about 2/3 of the way…it took about an hour and a half. Why, you ask? The jute tangles as you roll it onto the vase and I had to stop every 5 or so turns of the vase to untangle the stuff…grrrr. Other than that little delay, it was very easy and I’m happy with the way it turned out. 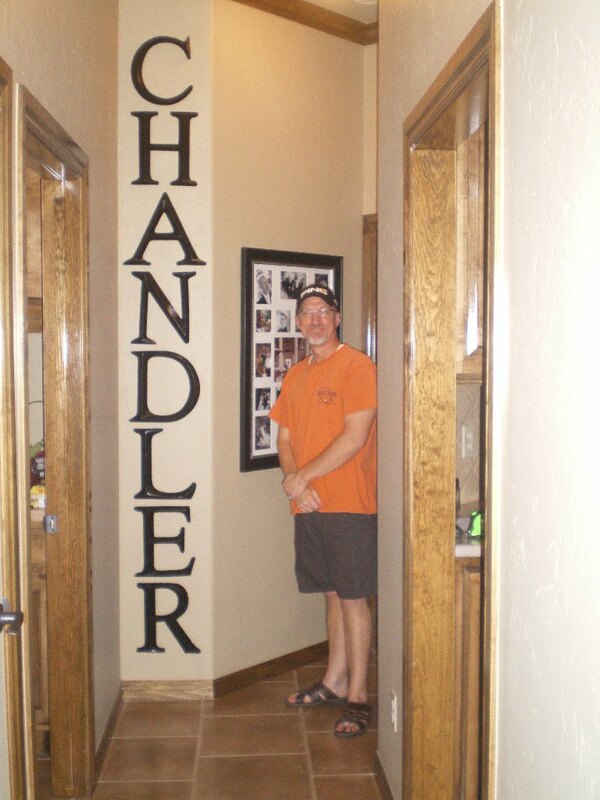 I also bought some large letters at Hobby Lobby recently to use in the hallway by a collage of photos from our vow renewal. They are the large monogram type letters and were gold when I bought them. I am not a gold person, so of course I had to spray paint them black. They actually look a lot better black! I bought them on sale for ½ off plus my employee discount, so I got them really cheap! Keith hung them up for me and I think it looks great! 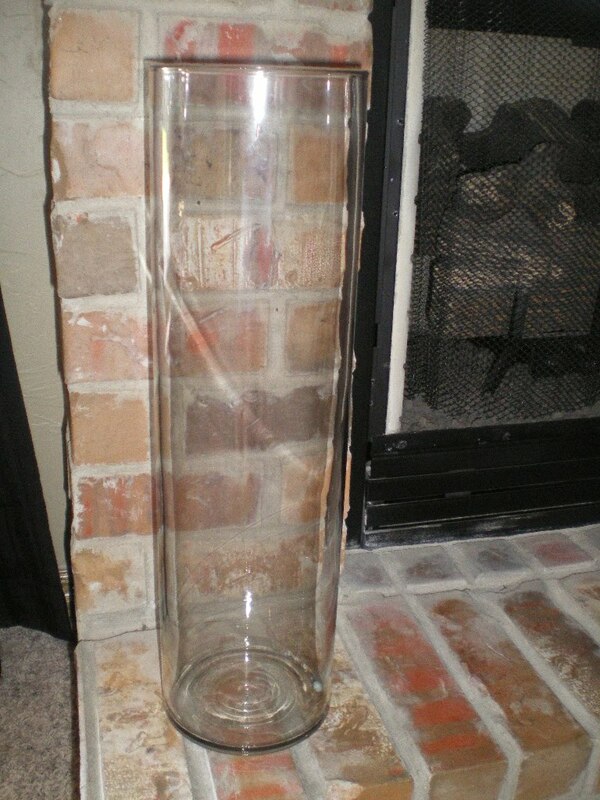 My newest projects are repurposing some old lamps and two end tables….still a project in progress.